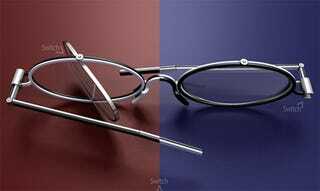 If you are as blind as I am, you have probably noticed that glasses are outrageously expensive. Naturally, that means that style often takes a back seat to price when picking up frames. The "Switch Glasses" concept by Hyo-Jong Kim aims to change all that with lenses that can be spun around for two distinct looks.